Suraya Nikwan APD provides a comprehensive diet analysis for any individual that would like to know if their diets are on the right track and improvements that could be made to achieve their goals. Medicare: With some chronic conditions, the GP may choose to refer you through a Team Care Plan. Medicare provides a rebate for this service (Item 10954 – Dietetic Services). Dietetic consult rebates are $52.95 a session. Full payment is needed to be made on the day, with the rebate being processed to Medicare for you. The gap ends up being $67.05 for an initial consult or $17.05 for a review consult. ​Simple and Easy Nutrition does not routinely bulk-bill. Department of Veteran Affairs: I am a provider with the Department of Veteran Affairs (DVA). If the patient has a Gold Card, there is no fee for the patient for a dietetic consult. Private Health: There is no need for a referral from a doctor to see a dietitian. With some health insurance providers, you can claim a portion of the fee as a rebate. Check with your health insurance provider to see if you’re covered. 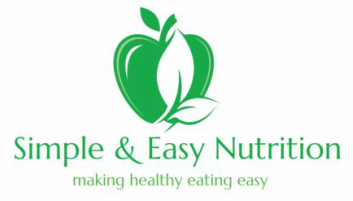 Simple and Easy Nutrition now has Healthpoint to claim your rebates on-the-spot. Remember to bring your Health Fund Card!